My Hobbies' Place: Sunshine award! 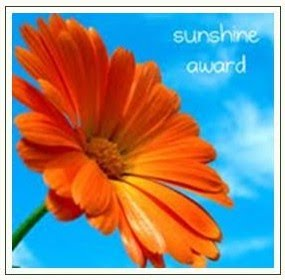 Today Tammy from Daily Treasures passed me the sunshine award and truly thank her for that!! Dogs! I live in a two-store house with my cousins, who have the cutest kanis-griffon in the world, Koko! I don't have a particular one! But for some strange reason I prefer the even! Coffee! Since I study many hours per day, I somehow have to keep my brain alive!! Created for a different reason, so each one has its pros and cons! Friday, cause it's so close to the weekend! I suppose where you spent most of your time! And now I have το pass the award to 10 other bloggers! And the winners are..
Congratulations to all of you amazing people! Congratulations on receiving your Sunshine award...isn't it lovely to receive something like that....that little bit extra just to makes ones day more exciting. Χίλια ευχαριστώ για το βραβείο! Thank you so much for sending me the Sunshine Award! I'm quite humbled to have you share this lovely gesture with me. 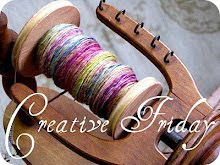 I enjoy visiting your blog, and seeing the new things you're learning and the fun you're having. I also appreciate your kind words this week helping to keep my spirits lifted. In addition to the sunshine you bestowed upon me, I have more good news - I've just returned home from the hospital with my husband! He's been through a lot, but is recovering very well. Thank you again for making this great day even more special! Thank you Angeliki,I'm against the shore salute!! το βραβείο μου, θα το κάνω στην επόμενη ανάρτηση! χαρίσω και εγώ σε άλλα blogs?